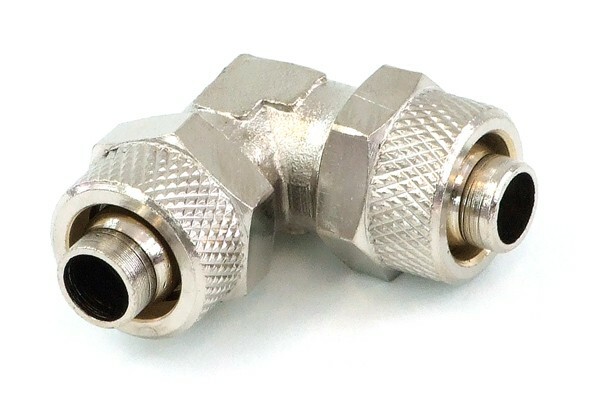 High-quality hose connector made from nickel coated brass. Not quite as cheap as the plastic connectors, but also optically very attractive and even more durable and sturdy. Both hose endings are pushed onto the connector and simply fixated with the union nuts. This system ensures maximum safety and ease of installation. Suitable for hoses with an outer diameter of 11mm and an inner diameter of 8mm.r of 8mm.